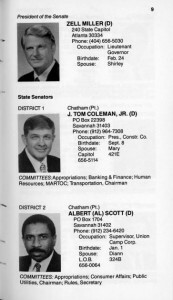 Members of the General Assembly of Georgia, Senate and House of Representatives, first session of the 1989-90 term (Picture Book), page 9. Have you explored Georgia Government Publications? The Georgia Government Publications database (GGP) was developed in 1996 as GALILEO’s first digital conversion initiative and redesigned in 2009. It serves as a comprehensive digital repository of more than 60,000 born-digital publications and scanned print documents produced by Georgia state agencies published from 1994 to the present. Georgia state agencies are required by law to submit publications that they produce for the public to the official depository at the University of Georgia Libraries. These publications are all included in the GGP and include not only print and electronic formats but also posters, bookmarks, maps, videocassettes, CDs, and DVDs. Most of these documents are scanned images; however, with the passing of an amendment to the law (O.C.G.A. 20-5-2) in 2000 requiring state agencies to submit publications in electronic format, a greater percentage of searchable pdf files are included in the database and are noted as electronic text. As previously noted, most of the images in the Georgia Government Publications database are from scanned sources and are not full-text searchable. 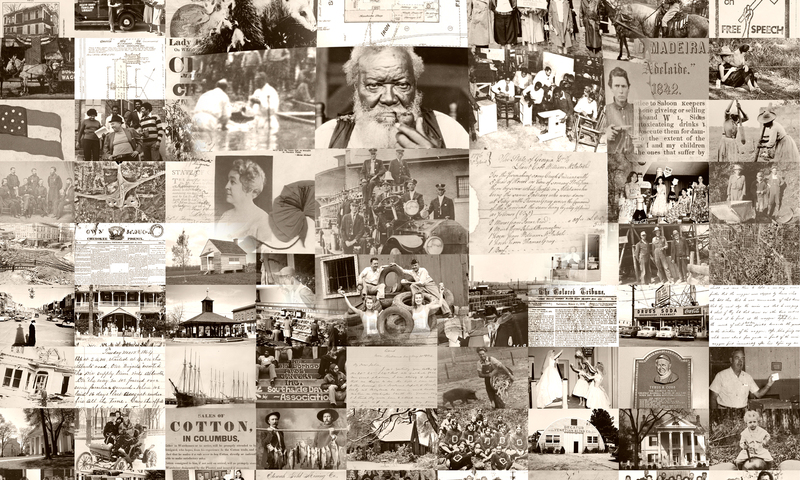 However, there are also many born digital documents with full-text searchability. These documents are noted in the database as electronic text. In addition to archiving Georgia state publications from 1994 onward, the Georgia Government Publications database is currently adding pre-1994 serials on an ongoing basis; a list of those publications can be found at http://dlgmaint.galib.uga.edu/ggp/about/. Among the pre-1994 publications that have been added to the collection are the Picture Book, containing biographical information about Georgia’s state senators and state representatives (see a 1989 edition of the book here), and the Department of Education Annual Report, which has detailed textual and photographic information surveying the education system in Georgia back to 1871 (A 1976 annual report is available here). The Georgia Official and Statistical Register, 1923-1990 is also a project of the GGP; it contains brief biographical sketches of state elected officials, federal and state Congressional members, election statistics, and provides information about state agency organization and administration. Journal of the Senate of the State of Georgia, 1876-present. The Georgia constitution (Article III, Section V, Paragraph I) requires that both the House of Representatives and Senate maintain journals of their proceedings. These publications are the official records of these legislative bodies, and are compiled and published following each legislative session. The journals include captions of bills and resolutions, votes, motions made by representatives and senators, reports of standing committees, and other applicable information. Can I keep it? : a guide to Georgia laws, regulations and recommendations regarding non-domesticated animals as pets (Georgia. Dept. of Natural Resources. Wildlife Resources Division, 2001). Farmers and consumers market bulletin (Georgia. Dept. of Agriculture) The Farmers and Consumers Market Bulletin, published by the Georgia Department of Agriculture since 1917, provides features that promote Georgia products, promotes free advertising to Georgia farmers and consumers, and provides information about the Georgia agricultural industry and the Department of Agriculture. Throughout the year, seasonal editions of the publication are dedicated to equine boarding and breeding, handicrafts, “pick-your-own” produce growers, and Christmas tree farms. Acts and resolutions of the General Assembly of the state of Georgia The Acts are the actual text of the laws and resolutions as they were voted upon by the General Assembly. The text as published in the Acts is different from the text published in the Georgia Code. Historic streetcar systems in Georgia Publication developed by the Georgia Department of Transportation (GDOT) and the Federal Highway Administration (FHWA) to assist preservation professionals in better understanding these resources in historic preservation work. Can I keep it? : a guide to Georgia laws, regulations and recommendations regarding non-domesticated animals as pets Georgia’s Department of Natural Resources resource on animal species regulated under Georgia law that identifies animals that may or may not be held as pets. Georgia Entomology Board: death to the boll weevil Before its eradication in the early 1990s, the boll weevil was cotton’s most notorious pest. 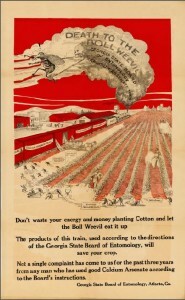 This poster, published by the Georgia State Board of Entymology, instructed cotton farmers to protect their crops by treating them with calcium arsenate. The handbook of Georgia boating laws and responsibilities Georgia Department of Natural Resources’ handbook of Georgia laws governing boating and safe vessel operation. Georgia governors’ gravesites field guide, 1776-2003 Publication of the Historic Preservation Division of the Department of Natural Resources with biographical information about each governor, and pertinent information about their burial sites (directions to cemetery, location of site within cemetery, and cemetery access). Preserving the legacy: a tour of African-American historic resources in Georgia Printed tour guide of fifty-eight National Register properties significant to the history of African Americans in Georgia. Guide to alligator hunting in Georgia Publication developed by the Georgia Department of Natural Resources Wildlife Resources Division Game Management Section that informs alligator hunters about the hunting season, hunting techniques, safety precautions, and the necessary requirements for harvesting and processing alligators. Georgia Entomology Board: death to the boll weevil (Georgia. Dept. of Agriculture. Entomology Board, 1936). We hope that you spend some time discovering the resources available in Georgia Government Publications!